I am frequently asked how I run my reading block, using Journeys and work stations. I'm going to try my best to explain it. This is my station board. My students do stations Tuesday through Friday. 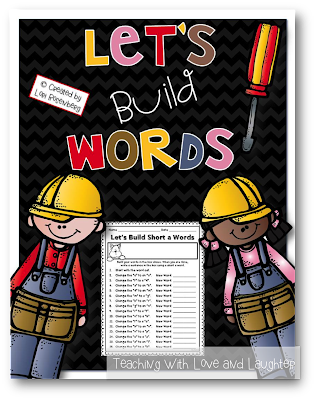 Monday is mostly a whole group lesson, which I try to make as interactive as possible. My students do 4 rotations a day. During the first 3, I pull individuals or small groups. 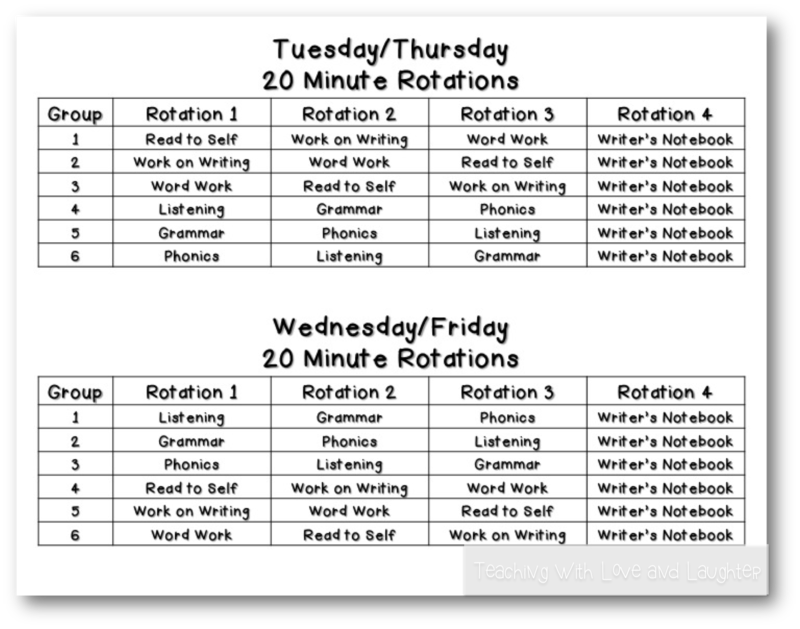 The 4th rotation is for RTI and/or writer's workshop. 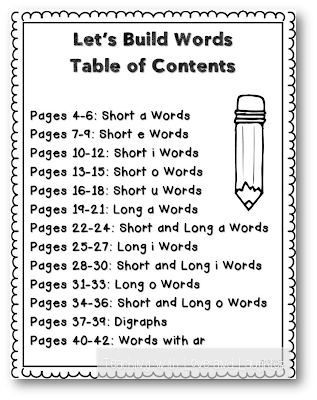 If I am meeting with an RTI group, the rest of the children are working in their writer's notebooks. If I'm not meeting with a group, then I am leading a whole group writing lesson. Meet With the Teacher is not included on my station board. Since I like a mixture of all abilities in my station groups, I just pull individuals or small groups from whatever station they are in. My students visit each station twice a week. They have a must do activity and several options for after they have completed the must do. No one is allowed to say, "I'm done! What can I do now!" My schedule is based on one I got from my bud Marsha, from A Differentiated Kindergarten. I have 6 groups of 3 students. (One group has 4 students because I have 19 first graders.) 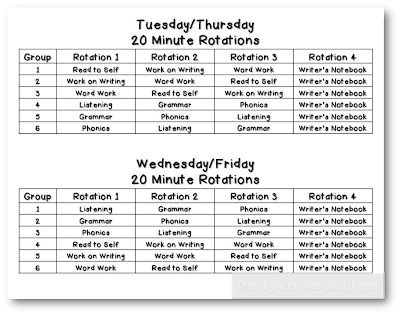 The rotation schedule is the same Tuesday/Thursday and Wednesday/Friday. And the way I set it up, Groups 1-3 and Groups 4-6 just flip flop their rotations from Tuesday/Thursday to Wednesday/Friday. Does that make sense? If not, just look at the schedule. You'll see that Groups 4-6 visit the same stations, in the same order, as Groups 1-3, but on opposite days. That way, I know that all 6 groups visit all of the stations twice a week. And I don't even have to change any rotation cards ever! I actually have a double set of rotation cards and under the chart on the right, is another chart, with all the rotation cards already set up. One chart is for Tuesday/Thursday and the other is for Wednesday/Friday. Each day, I just move the top chart on the right to the bottom. The names stay the same until I change my station groups. Station time is my favorite time of the day. 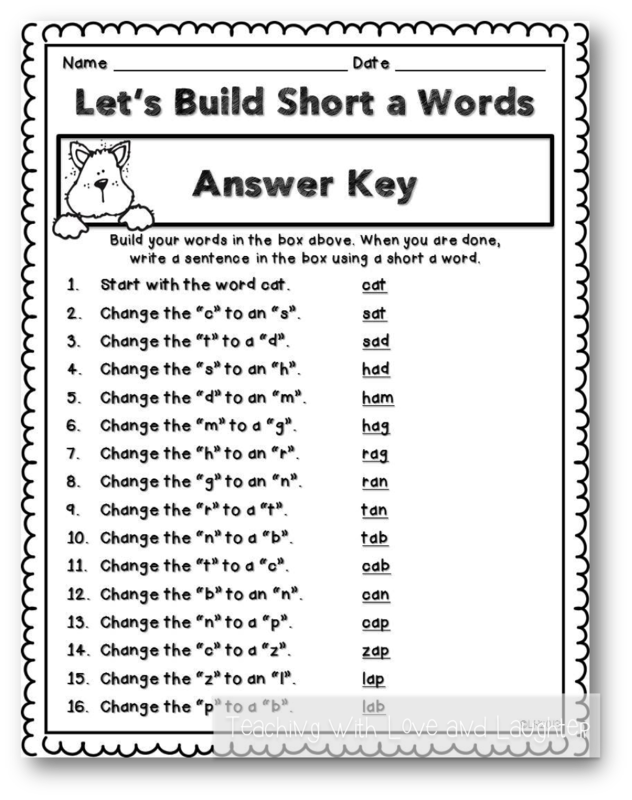 My students know that they must get started right away and they must use a 6 inch voice. They are very mindful of how important it is to work quietly, especially when I am meeting with small groups. They clean up their station and move to the next one without much direction from me. I always give them a minute or two to ask me questions when each rotation begins, before I call my next group. They know they cannot disturb me once my group is in session. It's all about respect! On Friday's, after our weekly assessments and the third rotation, anyone who finished all their station work can enjoy some free time. Anyone who did not, must catch up. We call it ketchup and mustard day! 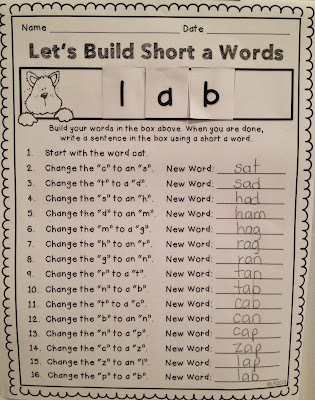 And that is how I run my station time in first grade. Eventually, my kindergarteners will be following the same schedule. They're still not ready yet! 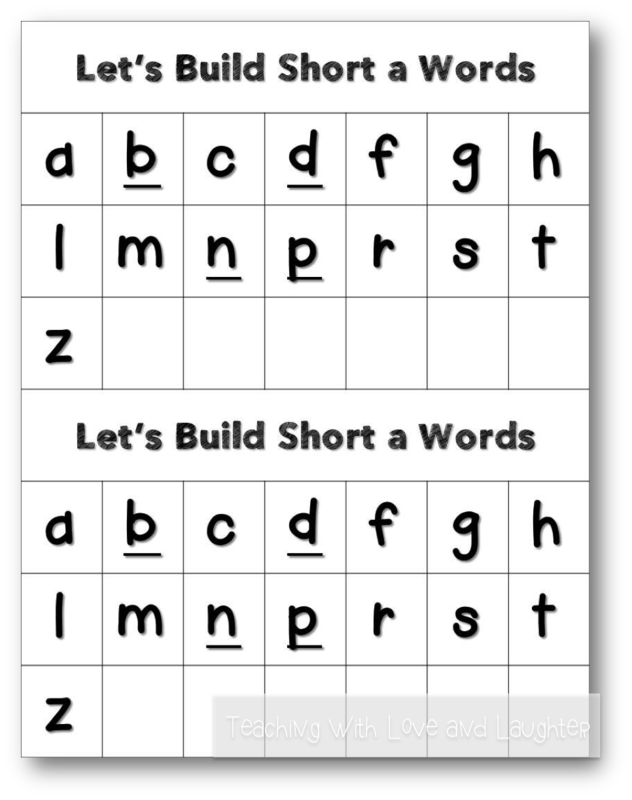 Before I sign off, I just wanted to show you something I just finished for my phonics station. 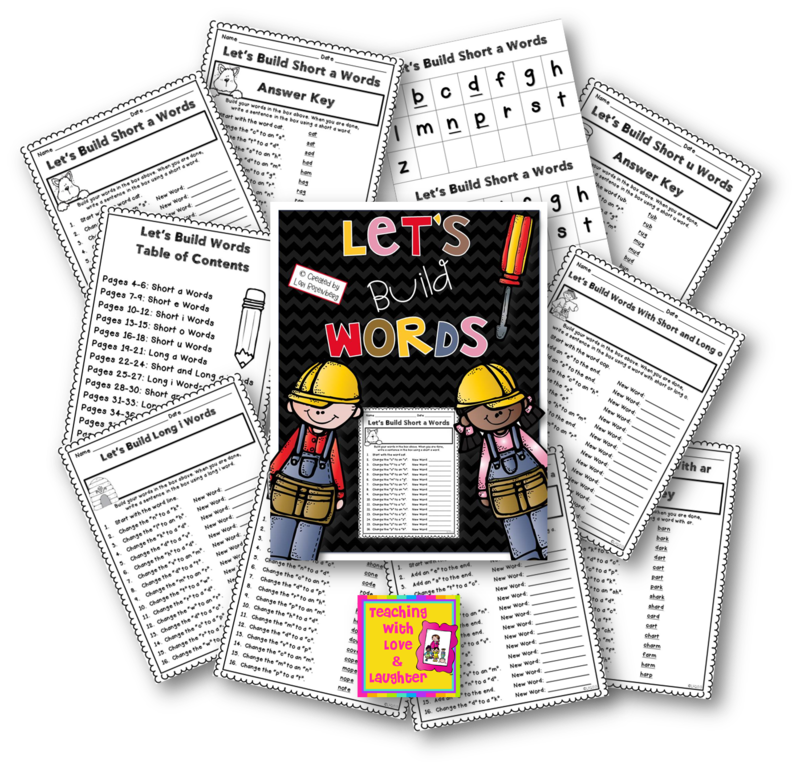 I LOVE word building activities and we do a lot of them whole group. Now, my students can enjoy building words independently. 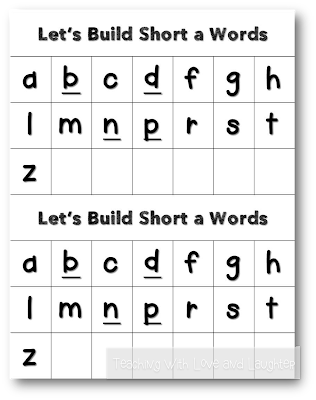 They cut out the letters they need for each page, which is included, (or you can just use letter tiles or letter beads) and they build the words in the top box. 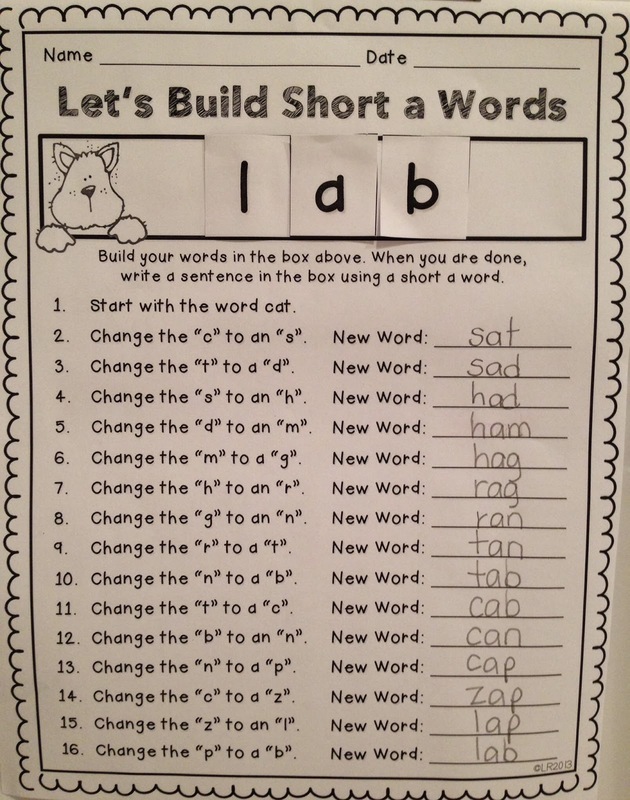 When they are done, they write a sentence in the box, using a word that follows that spelling pattern. 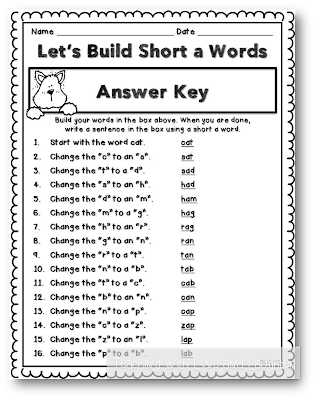 Each lesson includes an answer key, to make it self checking. The letter tiles are printed two to a page to save paper. If you want to check it out for yourself, just click here! Hi Lori! I'm so glad you posted this... 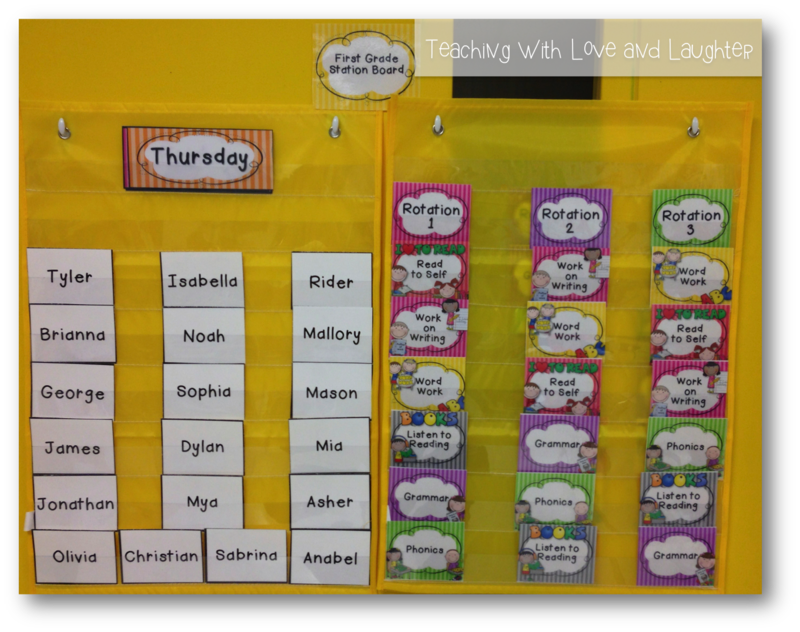 I've been trying to do the same in my kindergarten classroom but am STUCK on how to organize my center chart. 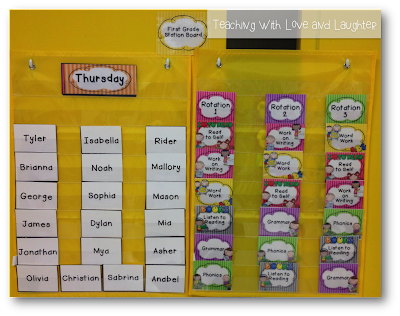 How can I make it easier for the kids to look at the chart and see the options they have for the day? Maybe start with just 2 options and build on this? I like how you have your pocket charts ready... makes it easier to manage. Please share any insights you have for kindergarten centers. Thanks so much! This looks great! I love everything I've bought from you:) Question...what font are you using for the body of the page...Change the c to an s.??? Thanks for any help! Thanks for sharing your set up. It was great to work through this as I am just starting Daily 5 and keen to learn all I can as well as derivatives.